Some fast facts about the rolling stock used on the MAX system. There are four types of rail cars currently in use, and the links below will take you to more information about each car type. Type 1: Cars 101-126. Manufactured by Bombardier; entered service 1986. The only high-floor cars in the system, and also the only cars that are single- articulated. Vehicle weight is 92,150 lbs; length is 89 ft; width is 8.5 ft. 76 seats. Not run as a single car as they are not ADA accessible, so will always be coupled to a Type 2 or Type 3. Type 2: Cars 201-252. Manufactured by Siemens (SD660 model); entered service 1997. First low-floor cars in the US. Vehicle weight is 105,000 lbs; length is 92 ft; width is 8.5 ft. 64 seats. Can be run as a single car or coupled to a Type 1, 2, or 3. Type 3: Cars 301-327. Manufactured by Siemens (SD660 model); entered service 2003. Functionally equivalent to Type 2 cars but with some updates. Can be run as a single car or coupled to a Type 1, 2, or 3. What kind of wheel arrangements do the cars have? Which of the axles are motored? Why do type 4’s sound like they are cycling through lower a d higher gears as they accelerate and decelerate? I don’t notice it on series 1-3? Not quite – you can set a 4 into a sort of “cruise control” to maintain any particular speed whereas there are only 3 preset cruise control speeds in the other types of cars. But taking higher amounts of power doesn’t necessarily mean faster speeds. More power helps you accelerate faster, but you can also take a train up to speed and then drop it into coast (which is no power), and as long as the ground doesn’t go uphill you can maintain that speed for a while, and go faster if you go down a hill. Many overspeeds happen when you think you’re in a speed maintain/cruise control mode when you were actually in coast! Would you happen to know the height (ground to the body’s top edges)? I’m starting up a 3D modeling project on the Type 2/3 and haven’t found much in the way of exterior dimensions outside of your site. 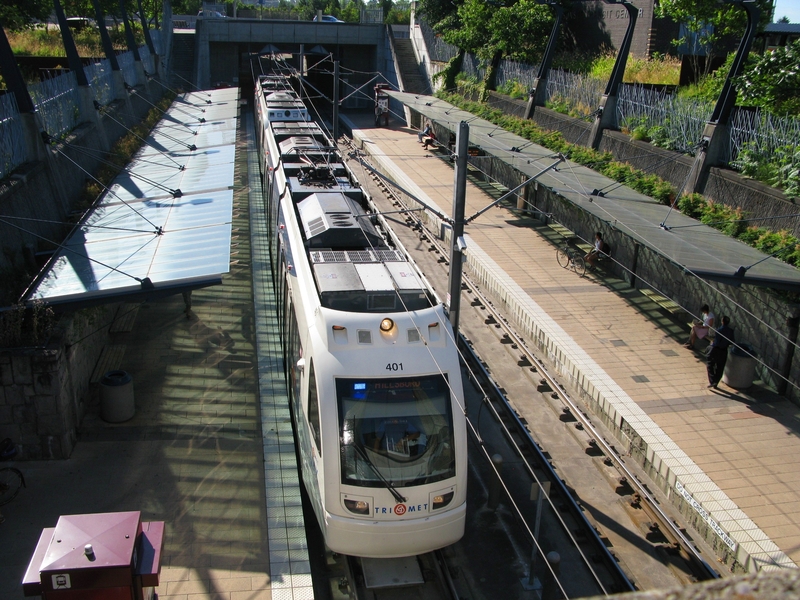 Sure – from the top of the rail to the pantograph is 9.5 feet, and it has a minimum operating height of 13 feet. 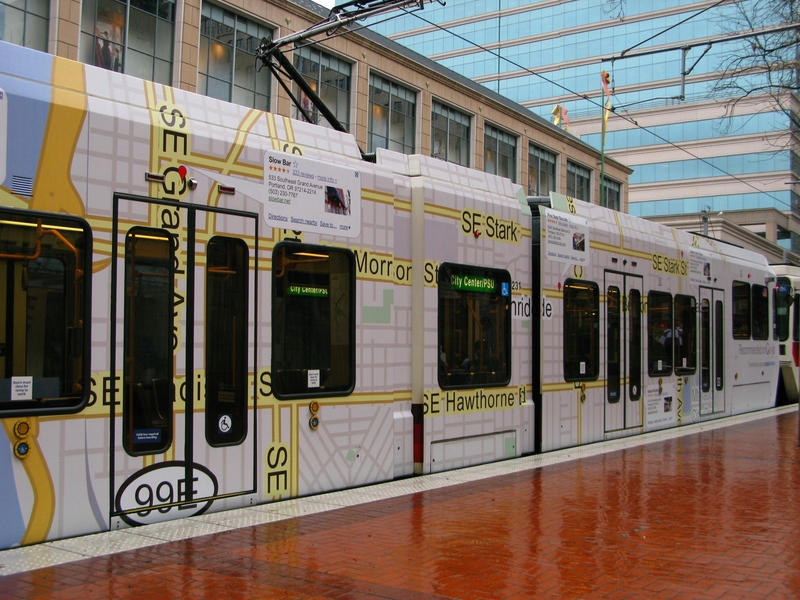 I’m not surprised you didn’t find much, I think TriMet is the only system running this Siemens model. Yeah I know, been busy!